An interesting news of today is here. 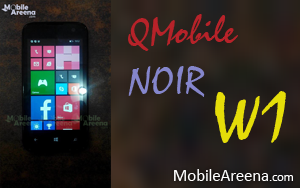 QMobile has just announced its first ever Windows phone under the name of QMobile NOIR W1. As we have reported you earlier that the company is working on its first Windows device. There were many speculations about this device on the internet and many people had been waiting it eagerly for a long time. 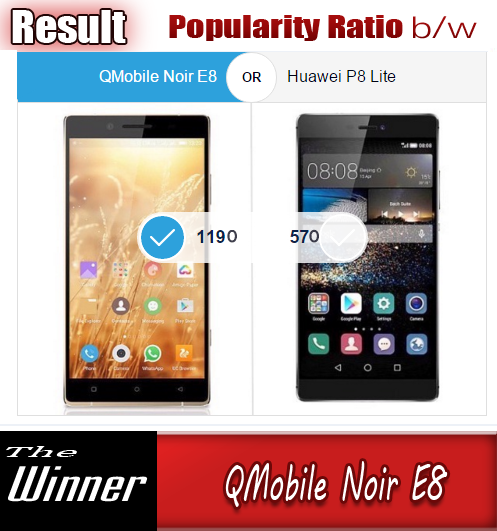 QMobile NOIR W1 is a device that many people can buy due to its lower price. A lot of people will fulfil their dream of having a Windows phone. QMobile is once again winner in this regard that it provides cheaper devices to Pakistani consumers. This mid range phone provides 4.0" inches screen with 480x800 pixles, a stylish body, support two SIM cards at a time and 3G facility that gives you liberty to use advanced networks for a gaming and all social media activites. QMobile W1 also offers Wi-Fi, and Bluetooth 4.0 inside this device. Its CPU is of 1.2 GHz frequency that allows this QMobile handset to deal with any applications or games. NOIR W1 runs on Windows Phone 8.1, so it will make sure to provide the owner with few of the best new features of Windows Phone. The camera on this smartphone has a resolution of 5.0 megapixels and a VGA second cam is also on the front panel to assist your during selfies and video calls. Its internal memory is 4GB but on the downside this device gives only 512 MB of RAM which is very low for a device running on Windows Phone 8.1. We have brought the Live Photos of this NOIR W1 . See them right here.